Today more than ever, brands are judged on their standards and beliefs as much as by their products and services. From their commitment to conserving the environment to their behavior toward employees, consumers regularly take a brand’s actions into account when making their purchasing decisions. Just as the green advertising movement has allowed brands to demonstrate their desire to protect the environment, now healthcare brands are discovering a similar opportunity to show consumers that they care about their personal well-being through the concepts of “active health” and “passive health” in their healthcare marketing strategies. 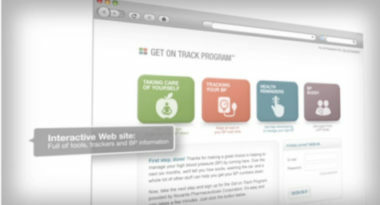 MediaPost.com reported on how adopting these approaches to healthcare marketing can create stronger relationships and a sense of relevance with consumers seeking companies that care. Active health strategies are defined as pro-active measures that help consumers stay well, while passive health strategies are intended to respond to them when they are already sick. This dual approach spans the spectrum of healthcare consumers and enables brands to differentiate their healthcare marketing while covering the entire target market. More importantly, these individual approaches allow consumers to feel that the brand truly understands their unique healthcare needs and enhances the perception of the company’s character. A prime example of applying both active and passive health techniques in healthcare marketing strategies can be seen in the “Get On Track” program from Novartis. Designed to help consumers diagnosed with hypertension, the program prods consumers to make manageable changes that helps them to both treat the condition and take steps to alleviate the disease. Whether the patient is recently diagnosed or a long-time sufferer, these gentle reminders show consumers at every stage that the company has their best interests at heart and makes the brand extremely relevant in their daily lives. Embracing both active and passive health strategies can be as simple as offering advice, supplying useful products or providing personal attention to patients throughout their healthcare journeys. From a consumer’s perspective, it’s comforting to know that a company is committed to actively helping them stay well in addition to treating them when they are not. It places a brand in a positive light by conveying a sense that the company cares. It also provides a high degree of relevance that makes consumers personally believe in the brand and share their experience with everyone. At MDG Advertising, a full-service South Florida advertising firm with offices in Boca Raton and New York, NY, our 360° marketing approach uses just the right mix of traditional and online media to reach your healthcare marketing goals. While some industries may fare better in print and others online, we strive to create a balanced approach where digital and traditional marketing efforts support each other and your marketing message is tailored to the medium. To stay on top of the latest trends in healthcare marketing, contact MDG Advertising.